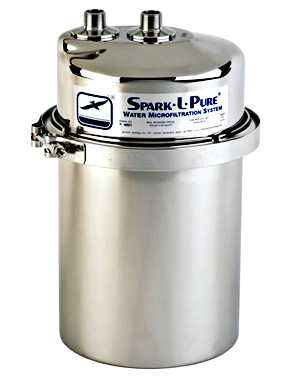 Heavy-duty 10” high flow single filtration system, 60Lpm, 1” connection. Enjoy purified water at every outlet in the house, including the kitchen at the fraction of bottled water prices. The EM1 was designed for the budget conscious householder, giving good general purpose filtration. EM1 systems provide peace-of-mind throughout the house, reducing taste, odour, chemicals, and sediment. This package protects and prolongs life of appliances throughout your home and features long-life filter cartridges that will really surprise you with their longevity. This unit does not protect you from bacteria and cysts. 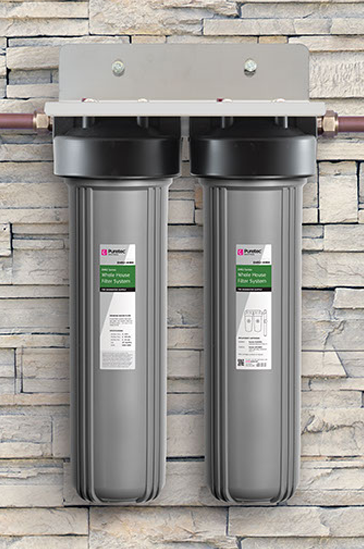 Heavy-duty 10” high flow dual filtration system, 60Lpm, 1” connection. Enjoy purified water at every outlet in the house, including the kitchen at the fraction of bottled water prices. The EM2 was designed for the budget conscious householder, giving good general purpose filtration. 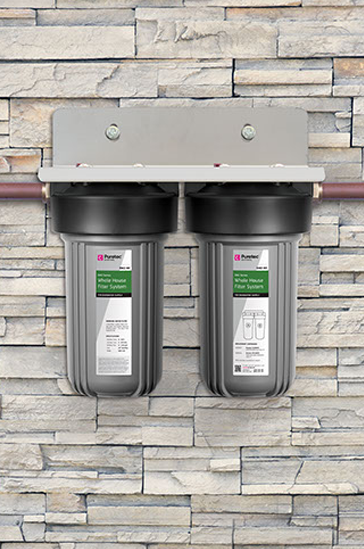 EM2 systems provide peace-of-mind throughout the house, reducing taste, odour, chemicals, and sediment. This package protects and prolongs life of appliances throughout your home and features long-life filter cartridges that will really surprise you with their longevity. This unit does not protect you from bacteria and cysts. Ensuring your stored water supply is safe for consumption, can be a tricky task. Water captured on rooftops can easily be contaminated as debris easily washes into the tank during a down pour. Drinking this untreated water can be unsafe and lead to illness. Treating water is essential to ensure good health for you and your family. 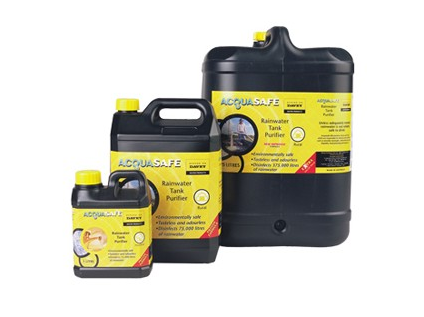 Davey offer a product called Acqua Safe as an alternative to dosing with chlorine. Acqua Safe is tasteless, odourless and chlorine free, designed specifically for tank water disinfection. With a residual life of up to 2 months, Acqua Safe is low cost, non toxic and approved by the National Health & Medical Research Council for use in drinking water. Acqua safe contains a stabilised form of H2O2 which oxidises bacteria and pathogens more effectively than most chlorine-based sanitisers without leaving any toxic residue or taste in the water. Acqua Safe destroys virtually all bacteria and virus, making tank water much safer for consumption. Acqua Safe modifies the environment inside the rainwater tank by removing micro-organisms and bacteria that is the food source for larvae. It also raises the dissolved oxygen of the water that mosquitoes and other bugs can find unpleasant. Acqua Safe used in drinking water supplies should be combined with one micron filtration, if the presence of cysts such as Giardia or Cryptosporidium is suspected. 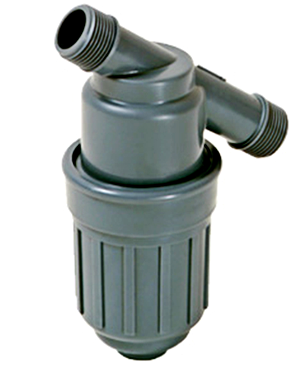 Suction Line filters are made for a wide range of modern irrigation systems. Made from high quality plastic material to provide durability and ease of installation. 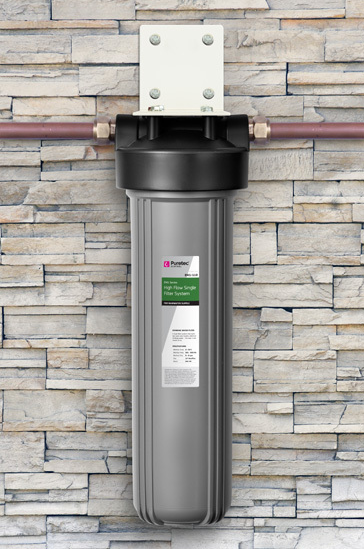 With low maintenance and a simple wash, this filter can provide longevity to your pump, sediment reduction and no unwanted browning of toilet water. Water free of contaminants, chemicals, solids & gases is essential to the health of people, animals and our environment. With so many water-related illness it is imperative that we have pathogen and cyst free water. 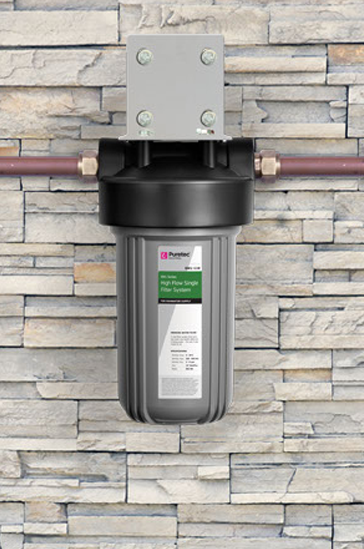 The Spark-L-Pure system is designed to be seamlessly integrated into your home water supply and provide peace-of-mind.